It is painful to imagine how much could have been avoided and achieved had The Nation’s warnings been heeded. 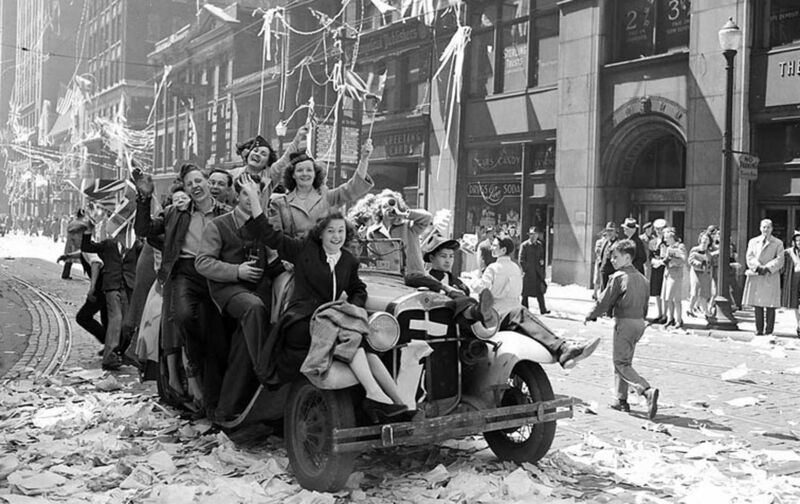 Many of the ambiguities that David Nasaw describes, in this week’s issue, as marking the end of World War II in Europe 70 years ago today were already evident in the issue of The Nation dated May 12, 1945. “The destruction, the displacement of millions, the death of millions more, the annihilation of cities and peoples, and the rupture of trust between the Allies after VE and VJ Days sow[ed] the seeds of the cold and hot wars that would mark the second half of the 20th century,” Nasaw writes. Such an outcome, sadly enough, would not have come as a surprise to Nation readers. “It is infinitely easier to start wars and fight them than it is to end them,” Nasaw writes in his article. “War begets war; the signing of treaties and the celebration of victory do not bring about peace.” It is painful to imagine how much could have been avoided and achieved had warnings like Stone’s been heeded.